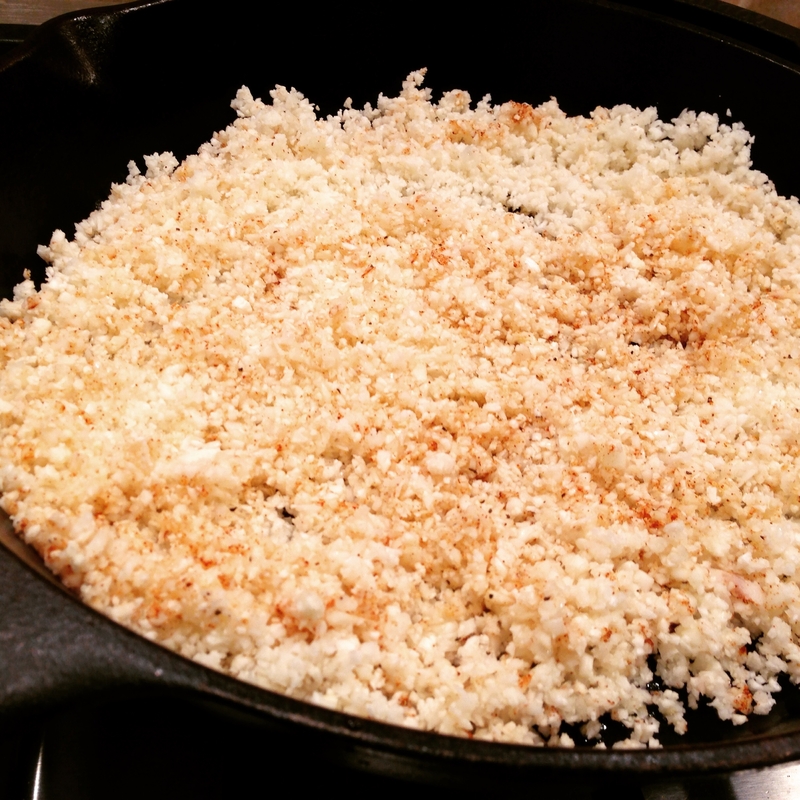 I have been receiving so many request for cauliflower rice and finally have the recipe to share with you! 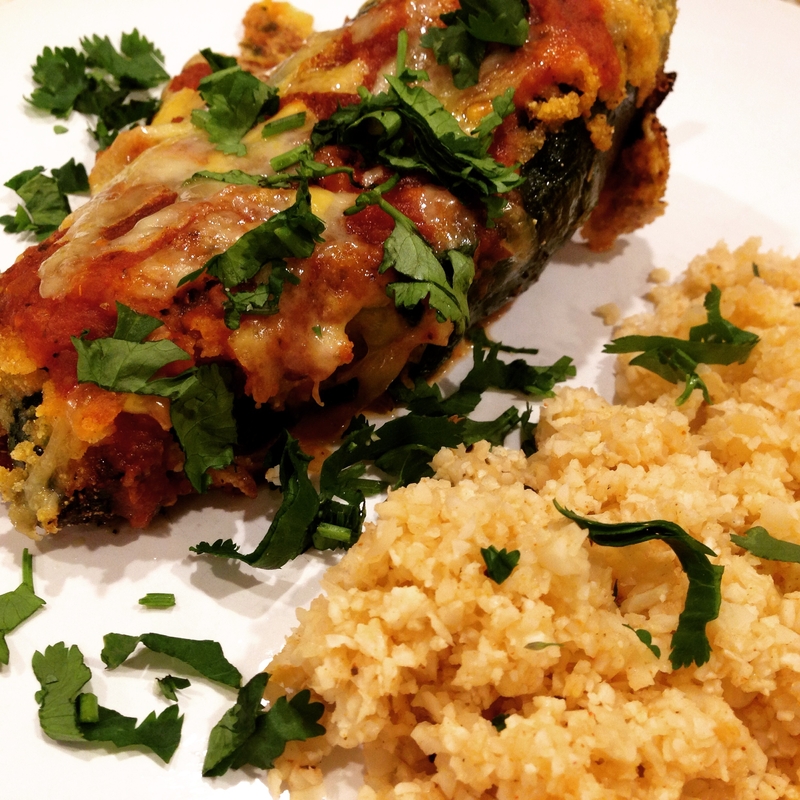 I paired it with one of my favorite Mexican dishes, chile rellenos. 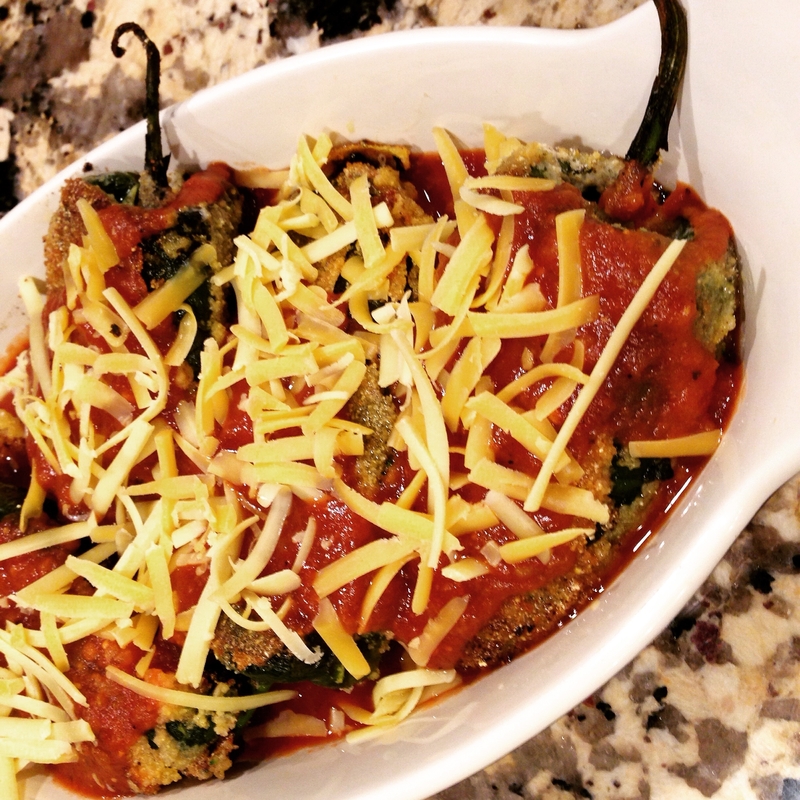 Chile rellenos are stuffed poblano peppers that are normally dipped in a batter and deep fried before getting smothered in a zesty sauce. This is a food I tend to avoid ordering at restaurants but absolutely love to eat so I developed a healthier and faster take. 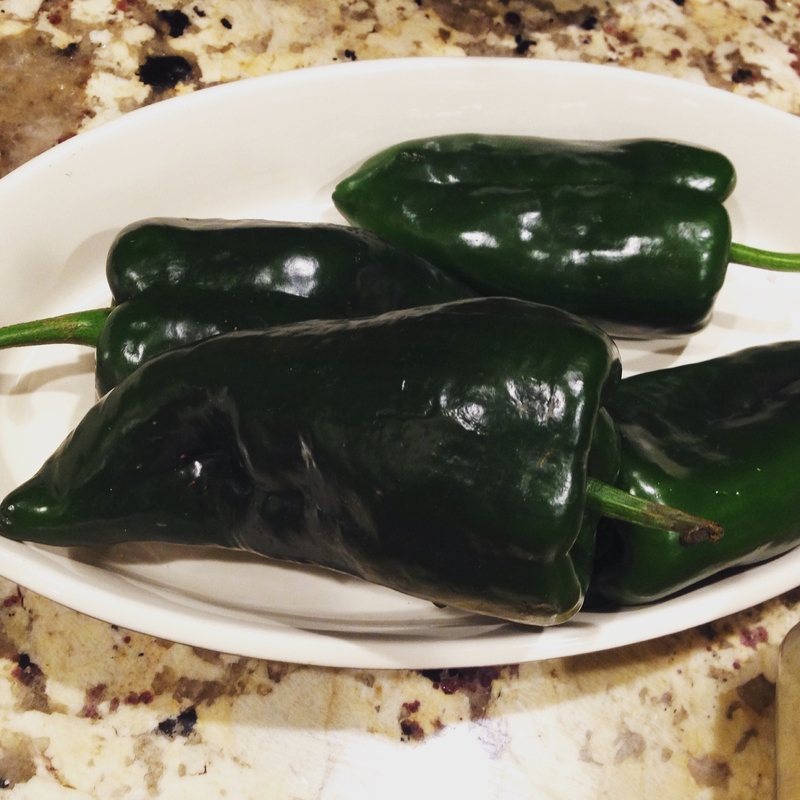 Poblano peppers are usually mild like bell peppers but not as sweet. 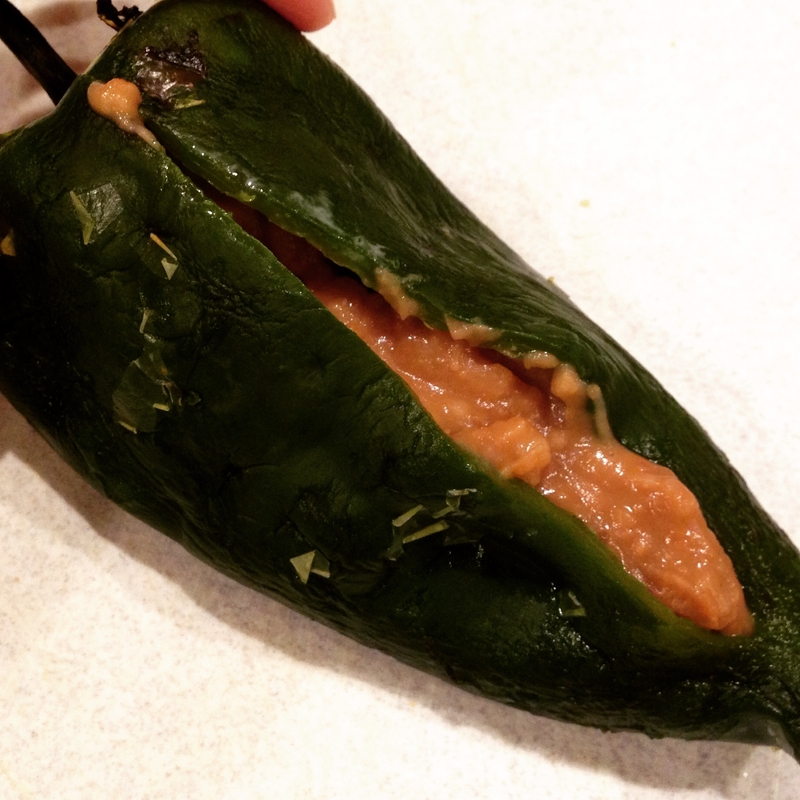 Every now and then, a poblano can be very spicy so make sure you taste test before serving to children! I usually roast them over my gas burners but you can also broil them in the oven. You want to remove the skin because that will help your breading stick. I used to seal them in a zip loc bag to steam which makes it easier to remove the skins. I now prefer that the hot peppers don’t have direct contact with plastic and therefore put them in a glass bowl which I then cover with plastic wrap. I only used refried beans this time but you can also stuff with another protein of choice, rice, cheese, corn, or other veggies/grains. I am in love with using coconut milk as a “glue” and easy 1 ingredient batter for breading without bothering with eggs, flour, or milk. You cannot taste the coconut flavor at all and it provides a thick even coating which lends to even breading. The peppers are already cooked and softened so a quick pan frying will develop a browned, crispy, crust. I totally cheated on the sauce by pouring on one of my favorite organic store bought salsas but Choco-Cinnamon Chili would taste fabulous on the peppers. Since the peppers are already well cooked from the pan frying, they just need a few minutes under the broiler to finish. I totally admit that I was really skeptical about cauliflower rice but my husband and I couldn’t deny that it was fine as a side especially if you eat it with something warm and saucy. Just a few pulses in the food processor and a few minutes of sautéing and you are done! 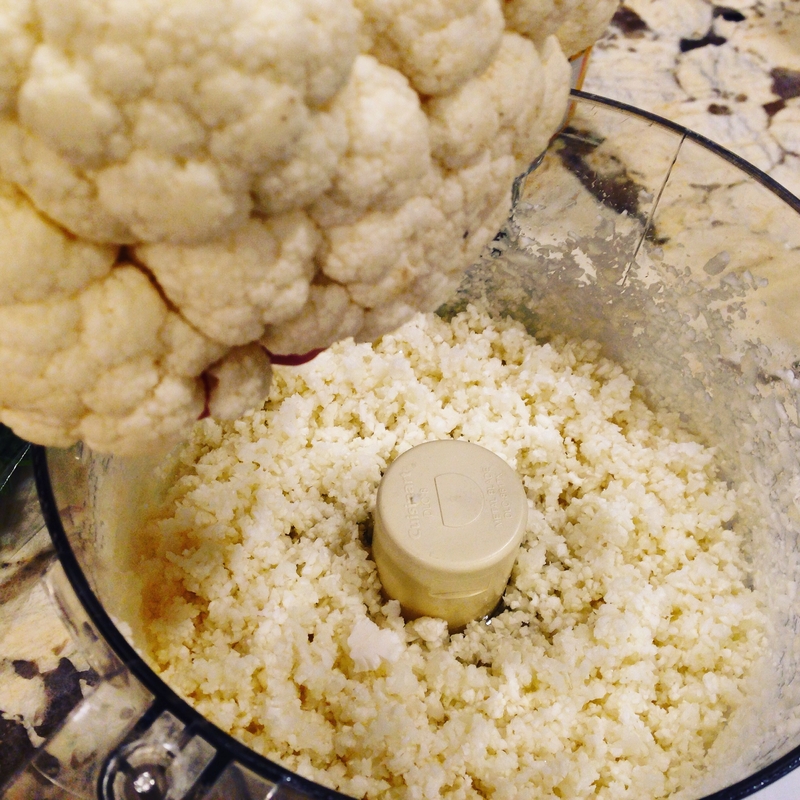 Other than the nutritional benefits of cauliflower over traditional rice, cauliflower rice was far speedier. 1. Combine the cornmeal, breadcrumbs, salt, pepper, and chili powder in a plate or wide, shallow bowl. 2. 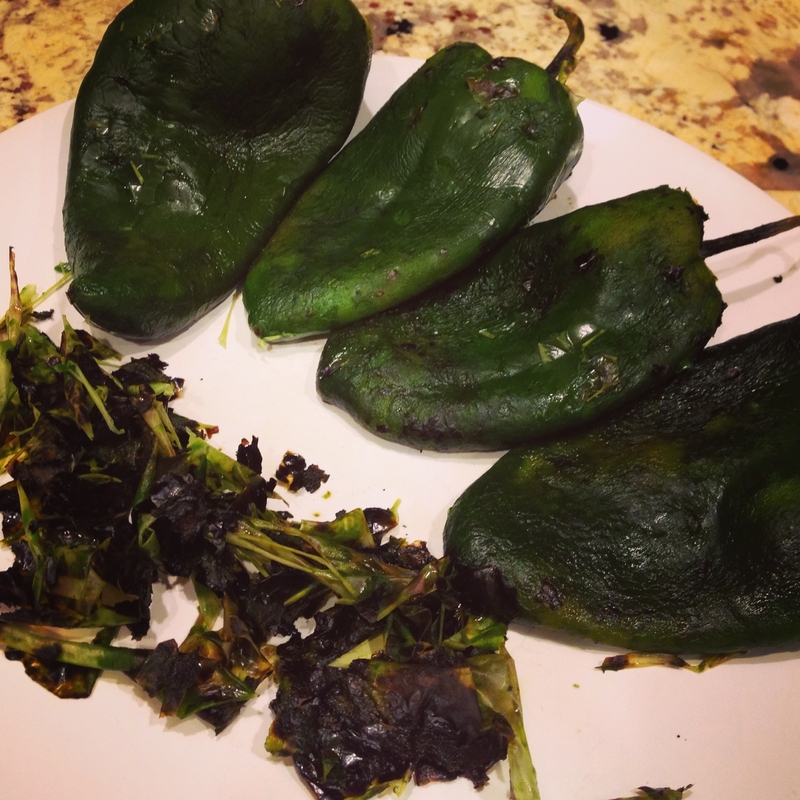 If you have a gas stove, roast each poblano pepper over a medium flame, turning with tongs as needed. The skin should get brown and black spots, bubbly, and blistered. Place in glass bowl and cover for 10 minutes. 3. Rub the skin off of each pepper under running water to make it easier. 4. Make a slit in each pepper, fill with refried beans and pull the slit together to close. 4. Dip in coconut milk and roll in breadcrumb cornmeal mixture. 5. Put a little more than a coating of oil in a wide pan. Place 1 or 2 peppers in the oil, carefully turning with a spatula until all sides are toasted. 6. Pour 1/2 a cup of salsa in the casserole dish. 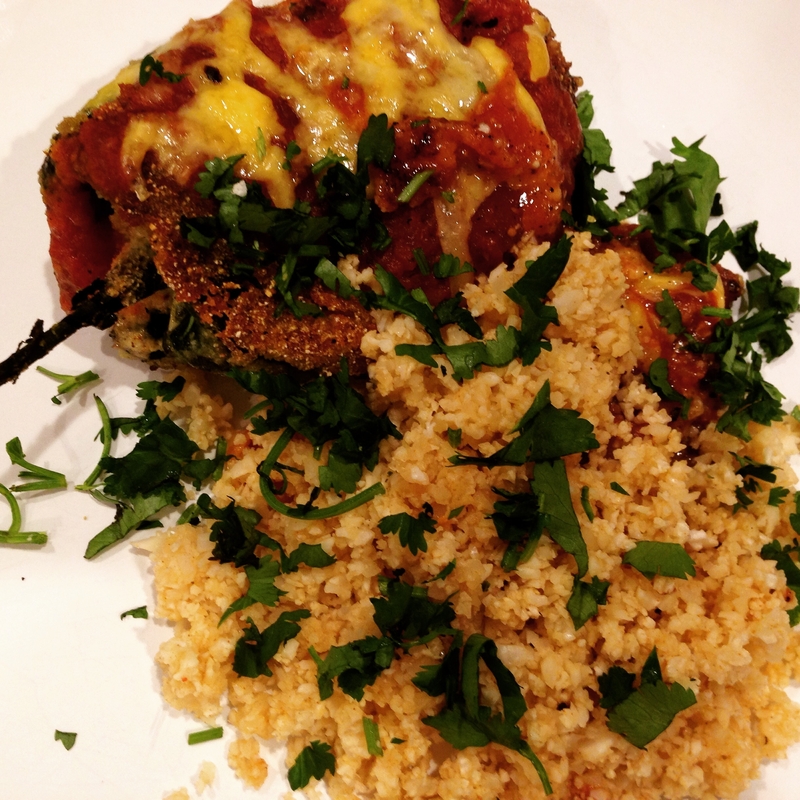 Place peppers side by side, cover with more salsa, and sprinkle with cheese. 7. Broil for 5 minutes in the oven on the top rack. 1. Pulse cauliflower florets in a food processor about 8-10 times until crumbled. 2. Heat oil in a wide skillet on medium heat. 3. Add pulverized cauliflower, salt, pepper, and chili powder. 4. Cook, occasionally stiring, for 6-8 minutes.